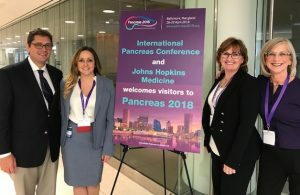 Nikki Mitchell Foundation President Rhonda Miles attended the Pancreas 2018 Conference in Baltimore, MD at Johns Hopkins Hospital to speak about her experience as a caregiver for a pancreatic cancer patient. 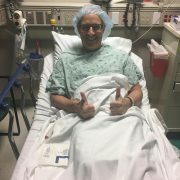 Also in attendance was NMF friend and 4 year pancreatic cancer survivor, Lisa Eidelberg and NMF Medical Board members Dr. Christopher Wolfgang and Lindsey Manos, PA. The conference provided a common platform for all specialists involved in pancreatic cancer to interact and share the latest information and developments, including promoting the highest standards of treatment, education and training, clinical and basic research, disease prevention, and patient care at a multi-disciplinary level. Pancreas 2018 brought together medical oncologists, surgeons, radiation oncologists, gastroenterologists, pathologists, and clinical and basic scientists from all over the globe, to explore current knowledge in the treatment of pancreatic cancer. 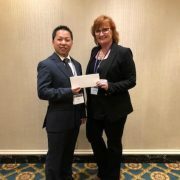 NMF gave an educational grant to Pancreas 2018, utilized at the conference to allow scientists and doctors to attend and present their research.